I’m excited to announce we have a wonderful guest today! Mrs. Penny Harrington served with Concerned Women for America organization for 13 years. It is a Christian organization focused on political issues. She is still involved with a coalition of pro-life and pro-family organizations, of which CWA is a part. Often times Christians wonder if we should preoccupy ourselves with politics and world issues. Is it necessary and Biblical? For example, the recent bill proposed in California against homeschoolers is one way politics can influence the lives of Christian families. Thankfully it was not passed. Even the presidential election in 2016 was an event that affected our lives as Christians. Scripture says we should pray for our politicians and pray to live in peace Timothy 2:1-4. If God gives you freedom, how do you maintain it? Let’s learn some more about this topic from Mrs. Harrington. Hello Mrs. Penny Harrington! Thank you for joining us today. We’re eager to learn more about CWA and your story. Can you tell us briefly about yourself? What inspired you to get involved with CWA? When I became a mom I began to look at the world around me and saw that our culture was drifting from its moorings. Having had a career in banking to that point, I was familiar with legal documents and regulations, so I began listening to faith-based media and reviewing the laws that were being proposed in our state and nation. In 1993, I attended a Community Impact Seminar by Focus on the Family and was impacted myself with the call to be a watchman on the wall, such as in Ezekiel 33. I began writing a monthly newsletter for my church on policy issues and, in 2001, was contacted by a friend who was on the California steering committee for Concerned Women for America, a national public policy organization of which I was a member. She asked me if I would write for the state organization and, after discussing this with my family and seeking the Lord in prayer, I accepted and took on the role of director of legislation. What role have you had in the CWA organization and what role do you play now? In my role as director of legislation, between 2001 and about 2014, I researched California legislation, wrote newsletters, alerts, and official position letters, spoke to groups inside and outside CWA, did radio interviews, led lobby day efforts at the Capitol and worked with legislative leaders. Since 2014, although I am not directly involved in CWA leadership, I am still a member and have continued to assist California CWA leadership as time has permitted and still review California legislation on an almost daily basis for a broad coalition of conservative, faith-based policy groups here. Who can get involved with an organization like CWA? You mentioned in a discussion I had with you that there is a chapter for teenage girls or students as well? I always recommend that concerned citizens get involved through digital subscriptions, membership, and financial support, when able. There are many groups doing tremendous work providing information and action steps that will allow us to stand together for biblical truth in a world that so desperately needs it. We are culturally adrift and our prayers and action are vital. With regard to youth involvement, there is a link for Young Women for America (concernedwomen.org/special-projects/ywa/). It’s a student-led effort for high school and college age young women. Another group to check out is Students for Life. They are very active (middle school through college) and the college contingent is helping fight a bill in California seeking to require all UC and CSU campus health clinics to provide medication abortions up to ten weeks gestation. See studentsforlife.org for more information. Do you think it is important for all Christians to be aware of political issues and be involved in political action? Absolutely! If we are to be salt and light, we must be informed. And with that information comes the responsibility to speak up for the truth, but in a winsome way – not a combative one. We live in a nation that allows us the freedom to participate in our government as citizens, asking our elected leaders to support biblical values in our governance. Further, we have a biblical obligation to pray for them, whether or not we voted for them! The only way we are going to change the political landscape in a state like California is to be involved in prayer for the hearts and minds of our elected leaders and to take part in the process. Sadly, too many Christians – and pastors – are silent. Have you had any negative reactions to your work with CWA? If so, how do you usually respond to that? Of course, there are often negative reactions to the positions CWA and other conservative organizations hold from our opposition, but I have had little negative reaction from folks holding a biblical worldview. There are some believers who think they would be “getting their hands dirty” to become involved in politics, but I prefer to consider our involvement as “policy” rather than politics and faith-based organizations are generally non-partisan. I’m sure there is often discouragement and moments of defeat fighting these political battles for freedom and liberties. What ways do you keep up your spirits? Certainly in California, where the majority of our lawmakers subscribe to a secular progressive worldview, there is often discouragement when we support a biblical worldview. Bills that run contrary to our values are often successful. Some become law and are then fought in court, with some success, but often we see our freedoms being eroded and the value of life diminished. Still, we know that truth is on our side and ultimately the battle will be won! This hope encourages. In addition, we simply have to choose joy in our daily lives – laughter is good medicine! What would you advise other women and young ladies from countries like New Zealand, Europe and other parts of the world, who are visiting this blog, do you think it is possible for them to have an organization like CWA in their countries? I’m not familiar with specific groups in other countries, but I would absolutely encourage women in democratic nations, to the extent that they are able, to unite to encourage each other, pray for their leaders and help share a biblical worldview with those who represent them in government. I am generally reading at least one non-fiction work, often related to public policy, and one novel. For fiction, I enjoy thrillers like those by authors David Baldacci and Lee Child. Besides this amazing work with CWA, do you have any hobbies, routines or side projects that take your mind off your work? Probably my favorite activity of late is babysitting our one-year-old grandson! I like to take early morning runs in my neighborhood. It gives me a chance to pray, organize my thoughts for the day ahead – and it helps clear out the cobwebs! I also enjoy taking walks with my husband and our Border Collie, as well as working in the yard. Being out in God’s creation is just relaxing. Do you have alternative news sources besides mainstream media which you follow? If so, would you mind sharing any? I generally tune into Fox News for TV updates. I follow many online conservative sources, such as The Heritage Foundation’s Daily Signal or Townhall, as well as reports from Alliance Defending Freedom, Colson Center and other conservative public policy organizations. I find that it is also important to be aware of how the other side understands key issues, so I so watch and read policy and politics from all viewpoints. Last question. Would you share with us five favorite things? Your favorite Scripture verse, beverage, snack, book and movie! Book: Oh, that’s hard. Probably J.P. Moreland’s Love Your God with All Your Mind. My favorite novel may be Redeeming Love by Francine Rivers, inspired by the Book of Hosea. It was wonderful having you here! Thank you again! Previous Post Memorial Day & Why You Shouldn’t Wish and Pray for Persecution! 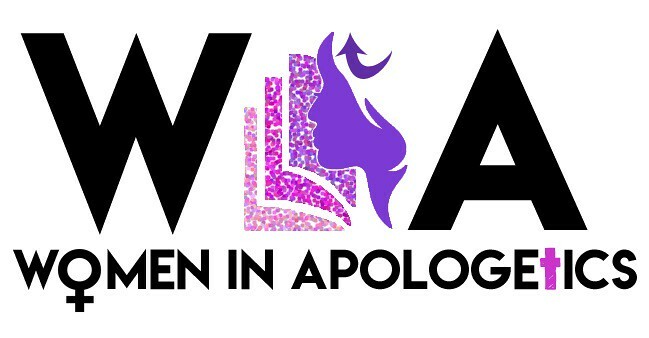 Next Post Beginner’s Guide to Apologetics- Women do it too! Lots of Great Resources!